When my parents see me and the latest video game consoles (e.g., Nintendo Switch), they love to rehash the stories of when they got their first video game. It was called “Pong,” it was hooked up to a TV set, and two people with simple controllers batted a ping pong ball back and forth – in black and white no less. That was back in the 70’s. Today, kids (and adults) can play games on their phones, laptops, and tablets. And, of course, they can enter into competitions with friends and strangers, get hacked, spend a lot of money, and, unfortunately, come across some pretty unsavory online characters. (not the game characters). Parents are busy checking age ratings and attempting to oversee who their kids are conversing with, using parental controls that will turn off voice chat and require their approval to add players. Adult gaming continues to grow at an exponential rate as well. Today there are over 2 billion gamers. And the industry is experiencing a whopping 10.7%+ annual growth rate, which is now close to $116 billion in revenue. Clearly, gaming has become a big business. Obviously, the amazing transformation of computer technology has been a huge impetus. Giving individuals the ability to connect at any time, from anywhere, and on any device is a disruption that has not been ignored by the gaming industry. Taking advantage of the cloud technology alone has enabled the industry to produce games and gaming experiences that allow a someone in the U.S. to connect and play with a gamer in most any part of the world. Those in the business of producing video games now rely on Big Data to gather all sorts of information about the behaviors (including purchasing behaviors) of gamers in their sub-niches (think Candy Crush vs. Fortnite) and use all of this data to make decisions about the types of games that will appeal to specific demographics and the potential revenue to be gained from those demographics. Many of the tools for data gathering and analysis have come from the gaming industry. The gaming industry itself has served to create jobs – programmers, data scientists, designers, and developers. There is a constant need for this expertise in a time when other industries are contracting. The revenue generated by the gaming industry as an independent business niche is also impressive, making it a leader in the economic marketplace. (up to $500 billion). 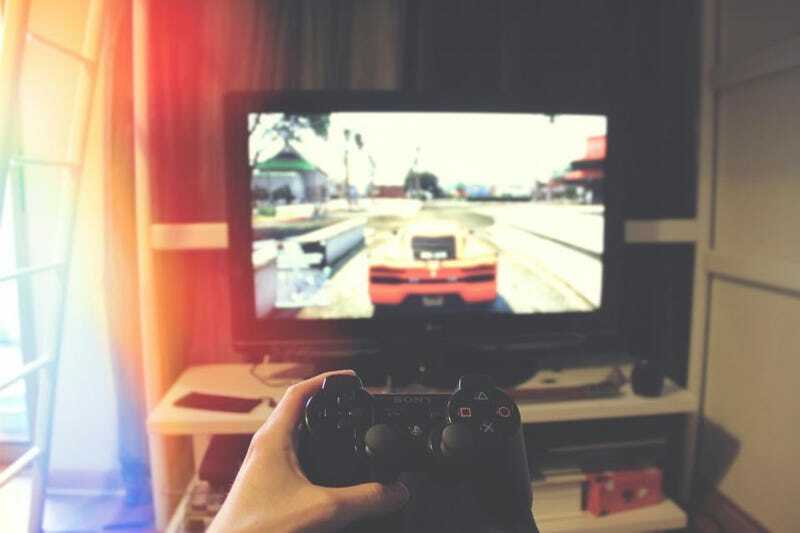 Gamers not only purchase new consoles and the latest PC’s to make themselves more competitive, but they also purchase additional items that are made available by game owners – tokens, weapons, and even game walkthrough and how to gaming guides, to gain a competitive edge. And even those who are not “into” gaming per se are impacted by gaming in their daily lives. For the technologies that have emerged from the gaming industry itself are now in use across the digital landscape. From drivers’ education simulations in the classroom to military exercises, to healthcare and surgery, gaming has provided numerous transferrable technologies. Professional development and training activities of businesses have incorporated much of the technology used in gaming. It’s just a more engaging and memorable experience for employees. Consumers can take virtual tours of possible vacation spots, can virtually try on clothing and eyeglass frames before making purchasing decisions. These technologies were first developed and used in gaming. If any person on Facebook, Messenger, etc. uses emojis, these came from the virtual gifting on video games. The gaming industry is fast losing its traditional image – lazy adults, addicted to gaming and sacrificing other aspects of their lives to that addiction; nerds in development shops crating new games that they hope will hit it big; children sacrificing physical activity for Grand theft Auto, Minecraft, Angry Birds, and Fortnite. Certainly, these negative aspects still exist. But the gaming industry itself is a huge marketplace for revenue and a base from which new technologies are being developed – technologies that are transferable to many other economic sectors – banking, retail, education and training, travel, insurance, and more. These things make the industry a prime target for savvy investors. They stimulate new platform technologies – consoles, PC’s, mobile and cloud; they develop new analytics, hosting services, and communication tools; they continue to develop new innovations in such areas as AR/VR and robotics. All of these things are ultimately transferrable. And here’s the other thing: the gaming industry does not appear to suffer the market setback that other industries do during an economic downturn. During the recession that began after the financial crisis of 2008, the gaming industry as a whole did not suffer as other sectors did. A Nielsen Study reported that the trend among gamers to continue to purchase and engage in their games continued almost un-moved by the recession, despite stress on household budgets. In fact, the recession may have actually provided impetus for more gaming, as consumers stayed at home and avoided major purchases. This is reminiscent of the entertainment venues (e.g. $0.05 movies) during the Great Depression of the 1930’s. Entertainment is a great psychological escape from reality. For investors, then, the gaming industry can provide leverage against the losses in other industries that come with an economic downturn. In a nutshell, I believe gaming will thrive. Gaming as an entertainment venue, and as real competition from serious gamers who earn money, is not going anywhere. The industry is attracting the best and the brightest from among designers, developers, data scientists, and creatives, and it can afford them. What this all means for the gaming enthusiast is that things will get better and better. What it means for other sectors of the economy and investors is all good. The technologies have already proven their worth in transferability; and their revenue streams and profitability remain strong, even during economic downturns.